Citation: Nkombe B, Sangeda A, Sibuga K, Hermansen J (2018) Assessment of Farmers Perceptions on the Status of Astripomoea Hyscamoides (Kongwa Weed) Invasiveness in Central Tanzania. 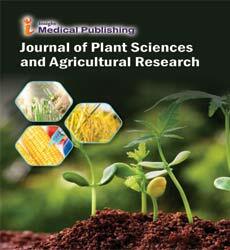 J Plant Sci Agri Res. Vol.2 No.1:11. Copyright: © 2018 Nkombe B, et al. This is an open-access article distributed under the terms of the Creative Commons Attribution License, which permits unrestricted use, distribution, and reproduction in any medium, provided the original author and source are credited. The effects of weed invasion in cropland, grassland and natural areas are enormous and hence responsible for a major reduction of both food for human and feed for animals due to their ecological and economic implications [1-3]. The invasive weeds are described as exotic species that pose negative consequences to native species and ecosystems and their resulting effects cause an economic damage . Severe loss of agricultural produce has been documented in various parts of the World where both agriculture and economic losses have been quantified . For instance, a study by Pimental et al. describes the costs associated with the negative impacts of invasive weeds at a global scale to be 1.4 trillion per year. Unfortunately, few studies have been conducted in tropical Africa particularly Tanzania on invasive plant species and their effects . Invasive weed species are characterized by rapid growth rate, highly reproductive and extensive environmental tolerance . Based on their definite effects, many invasive species are categorized as harmful ecologically  and sometimes posing environmental and socio-economic impacts . The dominance of invasive species in Tanzania has recently been reported to have gone beyond the open areas and is currently reported in various land uses such as grazing, crop and protected lands. Weed invasion in semi-arid rangelands, particularly in grazing lands, cause a decline in livestock production due to pasture depression . The semi-arid region of Central Tanzania, particularly Kongwa district, has been highly infected by Astripomoea hyscamoides weed recognized as “Mahata” in vernacular. A. hyscamoides is a dryland annual growing weed, covered with greyish hairs, reaching a height of 1.8 m, with alternate simple leaves and showy, white and purple flower. It is a weed that grows extensively in both crop and grazing land of semi-arid lands of Central Tanzania . With its terrific growth and competitiveness, the weed has become one of the noxious weed species that pose a serious threat for both cropland and rangelands of central Tanzania, particularly in the district of Kongwa, in central Tanzania. Severe infestation and a long time existence of this weed in Kongwa district has caused the weed to be famously known as “Kongwa weed”. However, the weed has recently been reported in other districts of East, Central and Northern Tanzania, which indicates that the weed is rapidly expanding. Little or no information have been documented about the origin of the weed, extent of spread, effects and the control methods in Tanzania. Despite of inadequate information, the weed unveils most characteristics that are common to invasive species such as rapid growth and expansion, ability to disperse and reproduce extensively [12,13]. The weed is also capable of competing with native species for nutrients, light and space putting desirable forages and crops in a competitive disadvantage. Due to its rapid expansion in both cropland and rangelands particularly in good rain seasons, the weed is posing a serious threat to agricultural productivity, and can severely affect small holder farmer’s livelihoods. Farmers’ and other key stakeholders understanding of the weed is key at addressing its effects and hence effective control. The goal of this study was therefore to assess farmers and other key stakeholders’ perception on the status of A. hyscamoides invasiveness in terms of effects and possible control approaches. A survey was conducted in Kongwa district in central Tanzania (6oº - 6º6'S; 26º22' - 36º30’E) between March and April, 2017. The study area is in the semi-arid zone, with a mean annual rainfall of up to 500 mm, which falls between December and April. Rainfall is unimodal, erratic, and poorly distributed with high variability within and between seasons. The vegetation is typified by Acacia woodland dominated by Acacia and Commiphora species. Further, Albizzia and Euphorbia species are widespread with scattered Baobab trees (Adonsonia digitata) are a characteristic feature of the landscape). The mode of production in this area is agro-pastoral where both crop cultivation and livestock keeping are practiced. Livestock are grazed in communal grazing lands, which are free range and move in search of good pastures between seasons, and leads to conflicts between farmers and livestock keepers (Figure 1). 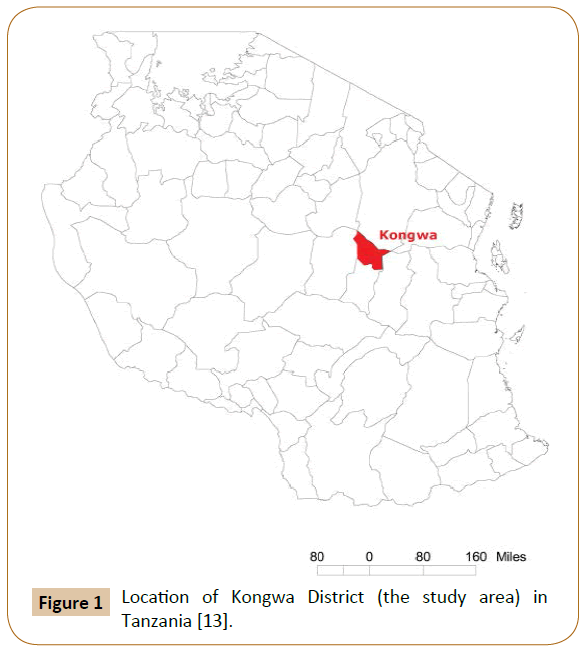 Figure 1: Location of Kongwa District (the study area) in Tanzania . The research design for this study was a cross-sectional survey whereby data were collected in single point in time, combining qualitative and quantitative approaches. Three villages namely Sejeli, Kisimani and Mbande were purposively selected based on the degree of distribution of the Astripomoea hyscamoides weed. The three villages surround Kongwa Pasture Research Center (Kongwa PRC) and they are located few kilometers away from Kongwa Ranch, part of the National Ranching Company (NARCO). Both NARCO, Kongwa PRC and the surrounding community are victims of the A. hyscamoides invasion where the effects are severely felt. A combination of household questionnaires, Focused Group Discussions (FGD) and interviews with key informants was employed to assess perception on the status of the A. hyscamoides weed in the study area. The household questionnaires were administered to 90 households through employing the systematic random sampling techniques to select the respondents from the village. In each household, one member was interviewed. The goal of the questionnaire was to obtain the information on farmers’ perception on the weed effects in their livelihood and possible cultural and indigenous control practices applied locally. A total of three FDGs, one per each village, were conducted. FGD was conducted to validate and triangulate the responses gathered through household questionnaires. FGD included representatives from both males and females and involved participants from all age groups. Similarly, 10 key informants interviews were also conducted using a checklist. Three NARCO officials including Ranch manager, three researchers from Kongwa PRC, two District agricultural field officers and two selected community influential elders provided the study with information to further triangulate the results. Key issues discussed with key informants and during the FGD include persistence and weed cover, effects of the weed, previous and current control practices, origin and source of the weed. The quantitative data collected were analyzed using STATA software version 15 where the descriptive statistics were presented in percentage. Content analysis was used to analyze qualitative data from FGDs and key informants whereby chunks of words were coded and categorized into themes and meaningful textual units. The study population comprised of higher percent of males (72%) than females (28%) (Table 1) from all three villages where the study was conducted. Table 1 Characteristics of studied population in Kongwa District, Tanzania. Higher number of males than females was probably due to the fact that females take a lot of duties during this period where the study was conducted which includes crop cultivation and other home related activities than males. Also most African households are headed by males in scenarios that both parents are alive. The study aimed at equal representation of number of households (30 in each village). However, some households were unwilling to participate in the study and therefore a varying representation. The age distribution of the surveyed population ranged from 20 to 80 years. The high percent of the age class interviewed was at the age of 31-40 years (27%) while the lower percentage class was 71-80 years, which was less than 5% of the study population. The age distribution was found to be important and helped the researchers to capture enough information pertaining the weed persistence and origin in the study site. The education level of the majority of the farmers interviewed was primary education (45%), while only 7% had graduated from university (Table 2). The other categories included no formal education, secondary education and college education. The varying level of education was important in gathering unbiased information on the perception of farmers on the invasive weed. Farmer’s occupation was mainly crop production (39%) and agropastoral (crop and livestock production, 37%). Table 2 Education and occupation of studied population in Kongwa District, Tanzania. The interviewed farmers identified the weed by the local name “mahata”. However, farmers use the same name to identify Ipomoea weed species that resembles Astripomoea. The survey indicated that 76% of the study population were not aware of the origin of the weed, particularly when asked whether the weed was exotic or native (Table 3). Table 3 Farmers awareness on origin of the weed and its existence (time). The few farmers that responded on the weed origin lacked strong evidence to support their arguments. Farmers who claimed the weed as of native land argue that the weed has been there for a long time. Similarly, farmers who claimed the weed to be exotic, argued that the weed was not seen in the (long) past years. These arguments may have some weakness due to the fact that invasion is a process which might take time for the effects to be felt by farmers. This is in agreement with Rai et al. that the notable effects of invasive plants are slower with time. In addition, some farmers’ identification of the weed might mean a different weed species since they use the same local name for two weed species. On the other hand, a large percent of farmers (41%) have known the weed for the past few years (1- 10 years), while only 7% of farmers have known the weed for the past 41-50 years, which reduce the reliability of the responses on the origin of the weed. The variation in responses from farmers agree with the studies which have indicated that in East Africa, the patterns of introduction and origin of invasive weed species are unknown . Farmers were asked on the agents of weed spread where majority of farmers (59%) mentioned livestock mobility for water and pasture and that transportation to the auction market has enhanced the spread (Table 4). Table 4: Agents of invasive weed spread in Kongwa District, Tanzania. Other methods of spread mentioned include wind, runoff and or floods. However, based on the nature of seeds the more likely and dominant method is through livestock movements. This is due to the fact that, the plant is eaten by animals at some stage, particularly after the plant has already set seeds. These can be carried through the gut while feeding and spread via animal excreta. The seeds can also be carried through animal hoofs and skin. Field observations have shown the weed seeds to have fallen just at the base of the stem canopy of the weed. This shows a reduced chance in spread by wind. Farmers were asked on the change in weed cover for the past 5 years and majority (57%) responded that the weed cover is increasing. The indicators for the increase in weed cover change that were mentioned include; an increased displacement of desirable pasture species by the weed, reduction in forage production both in rangelands and pastureland and reduced crop yield (if weeding is not applied). However, quite substantial number of farmers (32%), responded that there is no change in weed cover. The argument with these farmers is the fact that the weed infestation effect is highly noticed in years of higher rainfall such as in 2016 where the rainfall was above average in the study area. Additionally, 11% of the population said there was a decrease in weed cover and the reason for decrease was drought, as they argue that in years with below average rainfall such as 2017, the weed severity decreased (Table 5). Farmers’ perception on weed cover change in the study site shows common understanding with respondents of the study done by Rai, et al. due to the fact that both respondents realize the effects posed by invasive plants are more severe once the weeds are more abundant (Table 5). Table 5 Change in weed cover for the last 5 years in Kongwa District, Tanzania. Perception on the favorable conditions that favor the establishment of the weed was asked among farmers and key informants. The information obtained was classified into four categories that included; climate, land use, soils and terrain (Table 6). Table 6 Physical features and the eco-environment favorable for the weed. According to farmers and key informant perceptions, the weed infestation is high in years where the amount of rainfall is high, whereas in years with low rainfall the infestation becomes less severe. Farmers have also mentioned that the weed is favored in good fertile soils, and sometimes used locally as indicator of good harvest once the weed is seen. This agrees with the observation that the weed has been described to be less common in degraded lands especially in overgrazed lands. This was also confirmed through field visits where less weed cover was observed in overgrazed lands where a lot of bare patches and other weeds common to degraded lands such as Solanum species were observed. Instead, the weed was highly observed in grazing lands with desirable forage species. Land use type was also mentioned to favor the weed establishment where cropland and grazing land have been identified to be highly favored by the weed. The field observations have further shown less infestation in the bushland, which indicate the weed could be shade intolerant. Perception of farmers on the weed effects was divided in two contrasting views. About 75% of farmers agreed that the weed has negative effects while 25% agreed that the weed has some positive effects despite the negative consequences it poses (Table 7). The positive effects of the weed mentioned include the fact that the weed remains un-grazed during the growing season and, can be eaten by animals at some stage when there is less for cattle to select. During this period, most of the palatable forages are dry and the rain season has already ended. They also argue that the weed produce good and clean honey. Conversely, the negative effects of the weed mentioned include yield decline for both crop and forages and lower livestock carrying capacity (Table 7). Many studies that have explored the effects of invasive weeds have outlined both the potential benefits and costs [2,10,14] which shows that the perceived impacts of invasive plants is influenced by their relationship with peoples’ economic activities . Table 7 Positive and negative effects of the weed in Kongwa District, Tanzania. Farmers were asked on the methods that can be used to control, prevent or manage the weed. Majority of farmers (60%) suggested uprooting or slashing the weed before flowering. However, this method need enough labor and is costly if control has to be at a large scale. Costs and labor intensiveness are among of the factors that hinder the control of the weed as was also reported by Bosco et al. . Other methods mentioned include; herbicide application, application of fire and early weeding in crop fields (Table 8). Similarly, farmers were asked on indigenous practices that have been used toward weed control; however, there were no any indigenous practice used by farmers to control the weed. When farmers were asked on the effect of fire in suppressing the weed, different views were given where some believed that fire reduces the infestation while others said it stimulates infestation. However, there is a need to test the effect of fire in enhancing germination of the weed as it is a common practice, which is used by farmers to clear their field before crop farming. Table 8 Awareness on the control of the weed in Kongwa District, Tanzania. In addition, farmers were asked on past control techniques that were attempted towards control of the weed. Findings revealed that there was lack of community sensitization towards control of the weed. When asked about the constrains towards control of the weed, majority of the farmers mentioned high financial cost, lack of skilled labor and labor intensiveness. Lack of community sensitization was the major factor mentioned to hinder weed control initiatives. These findings are in line with Bosco et al. who also reported factors such as financial costs, lack of skilled labor and low incentives accrued for the control of invasive Ipomoea species in South Eastern Kenya. The results have indicated that Astripomoea hyscamoides commonly known as Kongwa weed or locally called mahata is spreading rapidly in various parts of the country outside its initial range. The spread is extensively in both croplands and grazing lands with potential negative effects in terms of productivity decline of both crop harvests and pastures. The study has shown farmers to have a better understanding on both positive and negative effects of the weed. In this regard, farmers have the potential to contribute towards the control of invasive weed through sustainable land management strategies or integrated weed management approaches. Similarly, there is a need of baseline data for monitoring the spread and abundance in order to strategically control further invasions and select appropriate management options and control measures in the already infected areas. One possible option could be on the possibility of using the weed as a source of feed for animals. The later is possible through livestock nutritional studies. In addition, there is a need for community sensitization from the government, nongovernment organizations and researchers toward control of the weed. Thanks to the Building Stronger Universities (BSU II) project through Agro ecology research group for financial support of this project. In addition, we would like to thank researchers from Kongwa Pasture Research Center for sharing useful information about the weed which was crucial in analyzing farmer’s responses. We are also thankful to Mr. George Fupi for assisting in data collection and processing and Prof Per Kudsk for initial review of the manuscript. Many thanks to our respondents and key informants from Kongwa Ranch, District Council and the three studied villages for their time and commitment that made this study a success. Rai RK, Scarborough H, Subedi N, Lamichhane B (2012) Invasive plants-Do they devastate or diversify rural livelihoods? Rural farmers’ perception of three invasive plants in Nepal. Journal for Nature Conservation 20: 170-176. Shackleton CM, McGarryD, Fourie S, Gambiza J, Shackleton SE, et al. (2007) Assessing the effects of invasive Alien Species on Rural Livelihoods: Case examples and a framework from South Africa. Journal of Human Ecology35: 113-127. Pimental D, McNair S, Janecka J, Wightman J, Simmonds C, et al. (2000) Economics and Environmental Threats of Alien Plant, Animal and Microbe Invasions. Agriculture, Ecosystems& Environment 84: 1-20. Olson LJ (2006)The economics of terrestrial invasive species: a review of the literature. Agricultural and Resource Economics Review 35: 178-194. Borokini TI, BabalolaFD (2012) Management of invasive plant species in Nigeria through economic explotation: Lessons from other countries. Management of biological invasions 3: 45-55. Pyšek P, Richardson DM, Pergl J, Jarošik V, Sixtova Z, et al. (2008) Geographical and taxonomical biases in invasion ecology. Trends in Ecology and Evolution 23: 237-244. Geesing D, Felker P, Bingham RL (2000) Influence of mesquite (Prosopisglandulosa) on soil nitrogen and carbon development: Implications for global carbon sequestration. Journal of Arid Environment46: 157-180. Richardson DM, Pysek P, Rejmánek M, Barbour MG, Panetta FD, et al. (2000) Naturalization and invasion of alien plants: Concepts and definitions. Diversity and Distribution6: 93-107. Obiri JF (2011) Invasive plant species and their disaster effects in dry tropical forests and rangelands of Kenya and Tanzania. Journal of Disaster Risk Studies3: 417-428. Bosco KK, John MK, Everlyne KC, Robert N, Halima N, et al. (2015) Key informant perceptions on the invasive ipomoea plant species in Kajiado County, South Eastern Kenya. Agriculture, Forestry and Fisheries 4: 195-199. Ivens CW. East African weeds and their control, Nairobi, London, O.U.P. Education (ABLE), Clemson, South Carolina. Clemson: ABLE. 1967. Emerton L, Howard G (2008) A Toolkit for the Economic Analysis of InvasiveSpecies. Nairobi: Global Invasive Species Programme. Harding-Esch EM, Edwards T, Mkocha H, Munoz B, Holland MJ, et al. (2010) Trachoma Prevalence and Associated Risk Factors in The Gambia and Tanzania: Baseline Results of a Cluster Randomised Controlled Trial. PLoSNegl Trop Dis 4(11). Rai RK, Rai R (2013)Assessing the temporal variation in the perceived effects of invasive plant species on rural livelihoods: A case of Mikania micranthainvasion in Nepal. Conservation Science 1: 13-18. Gichua M, Njoroge G, Shitanda D, WardD (2013) Invasive Species in East Arica: Current status for informed policy decisions and management. JAGST15: 45-55. Mwangi E, Swallow B (2008) Prosopisjuliflora Invasion and Rural Livelihoods in the Lake Baringo Area of Kenya. Conservation and Society 6:130-140.